Top Men like space. And Top Men like Mars. And Top Men think it’s good for the Teeming Masses to like space and Mars, too. 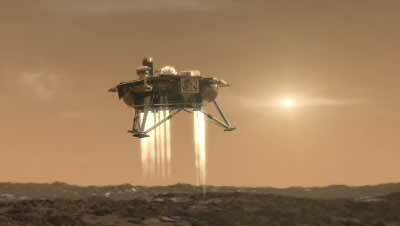 So we’re giving you plenty of time to mark your calendars for the landing of the Mars Phoenix Lander on the evening of May 25th (only 10 days from now.) Mars landings are not simple – Mars is littered with slight miscalculations. In honor of this rather amazing achievement we’ve provided two videos for your enjoyment. The first is a NASA production demonstrating how the landing will take place. No airbags on this landing – it’s a good old-fashioned, rocket-blasting, nail-biting, potential-crater-making touch-down. Fun! The second is a foward looking video – anticipating Mars in the spring of 2020. Very fun!